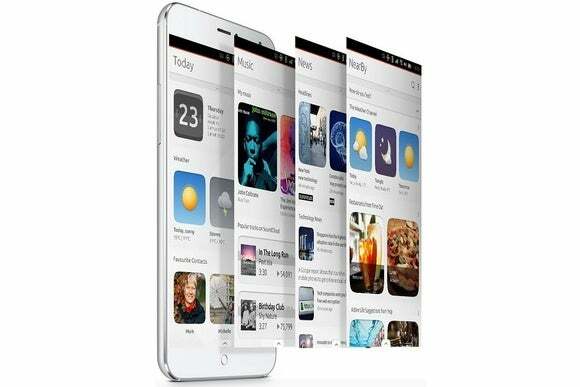 Meizu's MX4 Ubuntu Edition approaches flagship phone status, but makes buyers jump through hoops to get one. After months of anticipation, the high-end Meizu MX4 Ubuntu Edition smartphone is going on sale—sort of. As expected, the MX4 is only available in Europe, but even if you meet the geographical requirements, getting your hands on one takes legwork. Meizu has set up an online game that involves scrolling around and clicking on icons to reveal interesting factoids about the phone and Ubuntu’s smartphone software. Some of these icons hide invites to purchase the phone for 299 Euros, but if you don’t find an invite after three clicks, you must wait one day to try again. Those who secure an invite will be rewarded with hardware that’s markedly better than previous Ubuntu handsets, with a 5.36-inch, 1920-by-1152 resolution display, a 1.7 GHz quad-core processor, 16GB of storage, 2GB of RAM, and a 20.7-megapixel camera. It’s also much slicker-looking than BQ’s Aquaris E4.5 and E5 HD Ubuntu phones. Christian Parrino, vice president of mobile for Ubuntu steward Canonical, wouldn’t tell The Verge how many invites exist, but claimed that “most people” should be able to get one. How many times they’ll have to go through the daily song-and-dance remains unclear. With or without the mandatory games, there’s no word on whether the MX4 will head to the United States or other markets outside Europe. However, Canonical is reportedly working with a different smartphone maker on a U.S. handset, possibly one that connects to external monitors to run full-blown desktop Ubuntu. Why this matters: The MX4 could be the smartphone that diehard Ubuntu have been waiting for, so perhaps they won’t mind jumping through the extra hoops. Still, Ubuntu’s smartphone OS doesn’t have the app ecosystem of iOS and Android, and its interface—with screens organized around topics like news and music—is unconventional. Eventually, the barriers to buying a Ubuntu phone will need to get lower.